Swift is out and Barks is IN for Les Miz!! Ever since seeing the 25th Anniversary Concert version of Les Miz, and hearing her sing this song so well, I’ve been in love with it. When it was announced that Lea Michelle and Taylor Swift both wanted the part, I was a little saddened. While I don’t have a problem with Lea, except for her overly breathy phrase attacks, and knowing how many times phrases she would be singing begin with a vowel, I would be irritated with her. For Taylor, I am not really a fan. She’s cute and all, but I don’t think she’s got the chops to sing this role. Yup, I said it. I always thought that there wouldn’t be a person that would play the role as well as Lea Salonga. And while Samantha plays her a little less innocent, her version is fabulous, so I am insanely happy about her getting the role in the movie!! She will be joining a cast that also includes Hugh Jackman, Russell Crowe, Anne Hathaway, and Amanda Seyfried. I have to dig out my soundtrack and have a marathon! Just because she’s my fave, here’s Lea Salonga singing a couple of Les Miz numbers. You know, when I watch the old MGM or Universal musicals I feel like I was totally born in the wrong era. To be a dancer in any of those massive production numbers would be my idea of a fabulous time! To dance in the same room as Gene Kelly, one of my heroes, or Danny Kaye, another wonderful performer, or Ann Miller, or Cyd Charise, or… (I could go on and on) would be bliss I tells ya! 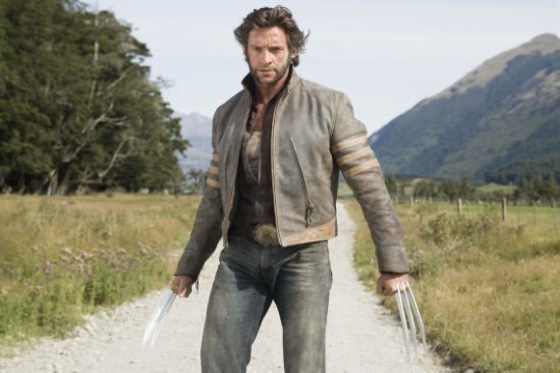 Hushed whispers have been circulating here and there that the head honchos of Universal, director Tom Hooper, and the big wigs at Working Title have set their sights on Hugh Jackman for the lead in their planned production of the Broadway mega-hit Les Miserables. No negotiations have been made as of this time, so it’s still just rumors. But still, how awesome would it be to have Wolverine play a man on the run trying to redeem himself for his past and creating a new virtuous life. Wait, is that redundant? In any case, Jackman is a talented man, so it’s certain that he’ll do a decent job singing this incredible role. But, guess who has actually read for the role of Javert and sang some of the songs from the show? Mr. Paul Bettany!! If anyone looks like a strict policeman without a heart, it’s Bettany. HOWEVER, just looking at the stature of the two men, either Jackman needs to slim down or Bettany needs to bulk up. I feel like these two character are similar, but on opposite sides of the “law.” To me, I would like to see the characters portrayed nearly identical in strength and intensity. Jackman is always gonna be a badass in my book, so it’s already a little lopsided. I’m just sayin’. The script is already completed for Les Miserables, so the movie is gonna happen. 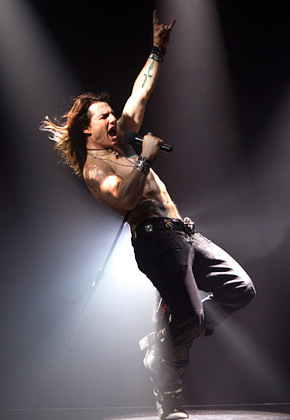 Another movie that’s HAPPENING is Rock Of Ages!! With Tom Cruise as the lead, I can’t wait to see if he’s gonna need a throat punch as well or if I am going to want to watch it again. I think this is an amazing snap shot. I just hope that the voice behind it matches.